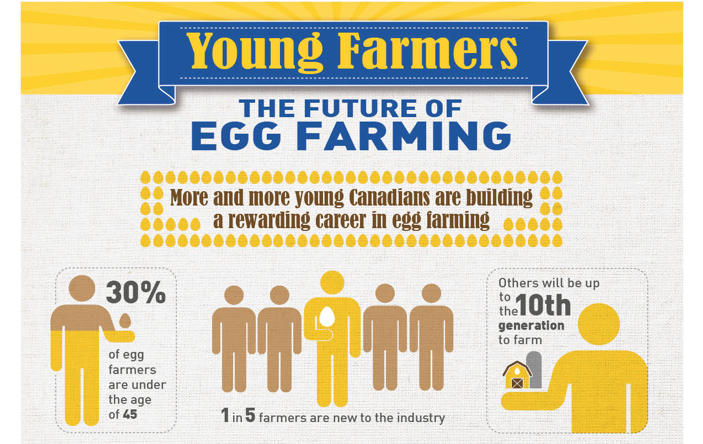 The Hill Breakfast is an annual tradition for Egg Farmers of Canada and MPs and Senators at Parliament to celebrate the strengths of Canada’s growing egg industry and supply management. 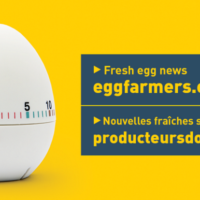 This year’s theme was “Eggs Across Canada”, which captured a spirit of unity for Canada 150. The breakfast highlight was delicious omelettes made with ingredients from across Canada’s various, unique regions. However, for the meal to be a success, it needed seats full, and that’s where Acart came in. Our job was to design bilingual invitations and envelopes that would “cut through the clutter”. MPs and others on the Hill are constantly being invited to special events, so EFC needed to stand out. We delivered something that wouldn’t be thrown away, but instead passed on to colleagues. 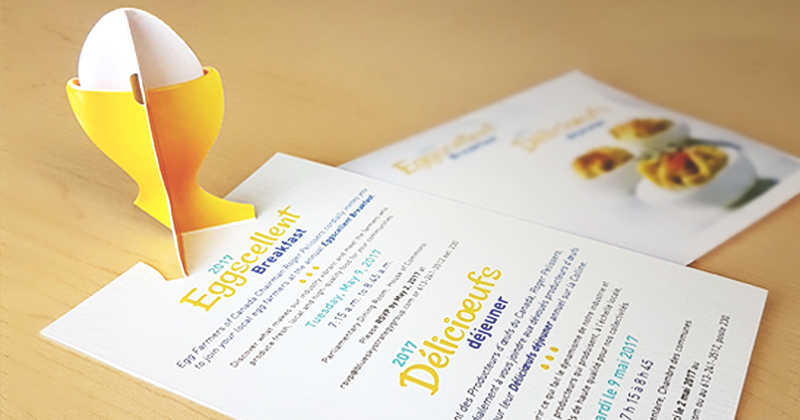 Our invitations were bright and friendly, but were most recognized for their unique 3D cut-out eggcup that stood up when the letter was opened. Our invites stood up and stood out. 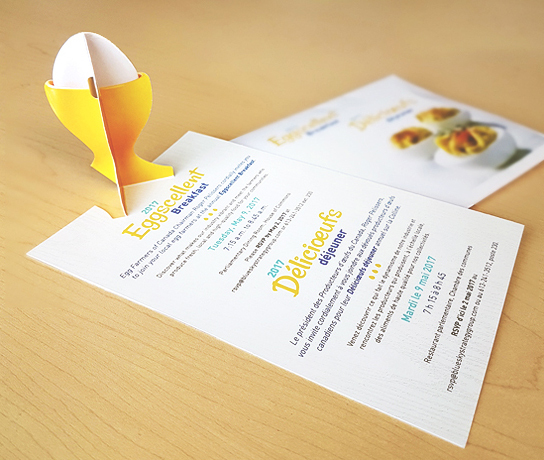 As well as the invites, we created popup banners that stood on either side of the podium at the breakfast. These informational banners set the stage for the event’s discussions on supply management and other important egg industry topics. The breakfast, as ‘eggspected’, was a success. Canadian egg farmers shared their expertise on the industry and supply management to the many MPs and Senators in attendance. The event received plenty of attention on social media as well. Have an upcoming event and need an invitation that people can’t ignore? Contact Acart today. Be part of #CrackingHunger in Swaziland – with nutritious, sustainable eggs!